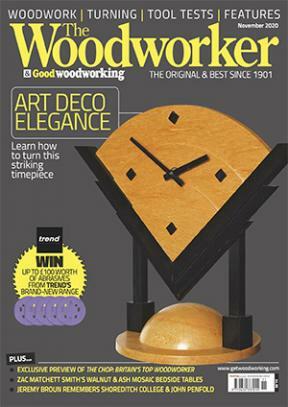 If, like me, you enjoy your woodwork with a passion, then you're in the right place. When I'm not editing The Woodworker, I'm fortunate enough to be self-employed making joinery and furniture items in my own workshop and on site. I'm able to use my own experiences - good and not so - to improve my contributions to the mag, and to understand more fully the wants and needs of you the reader. So, if there's any woodworking matter that needs looking into or more fully explaining, don't hesitate to get in touch, I'll always answer.